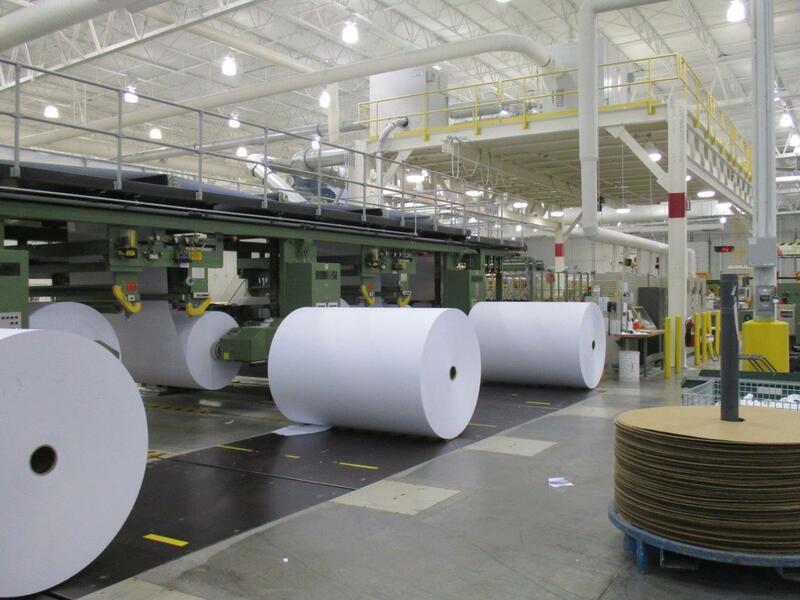 Domtar’s Kingsport, Tennessee, paper mill produces approximately 450,000 tons of uncoated freesheet paper each year. But it doesn’t come off the production line neatly divided into reams and packed into the boxes you see in the copy room at work or on the shelves at the local office supply store. That’s a job for our Ridgefields, Tennessee, paper converting facility. 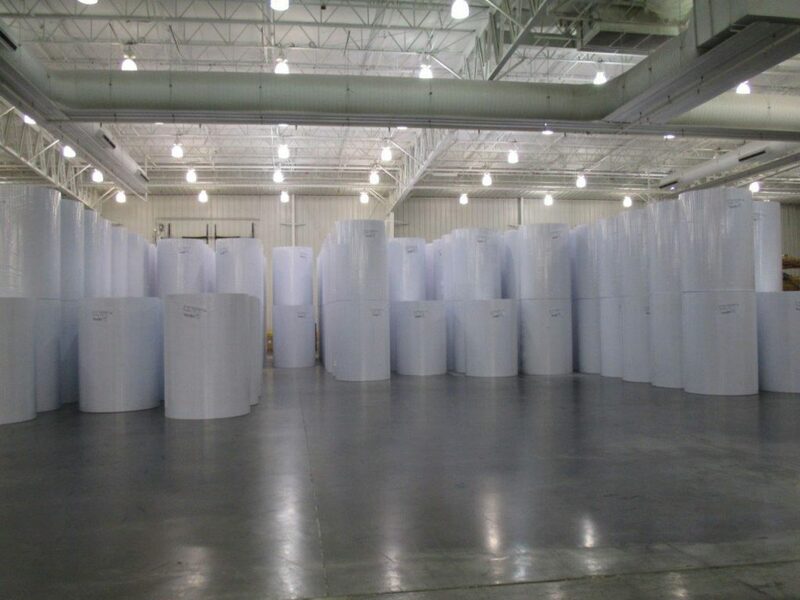 Rolls shipped to Domtar’s Ridgefields paper converting facility await conversion into packaged paper and other items. It’s all in a day’s work for Joe Boggs, Ridgefields’ manager, and the 52 men and women who transform the giant rolls of paper into paper reams and other everyday paper products. Boggs says 98 percent of Ridgefields’ paper converting business concerns uncoated freesheet from the Kingsport Mill, which is located just over the railroad tracks, 2.5 miles away. 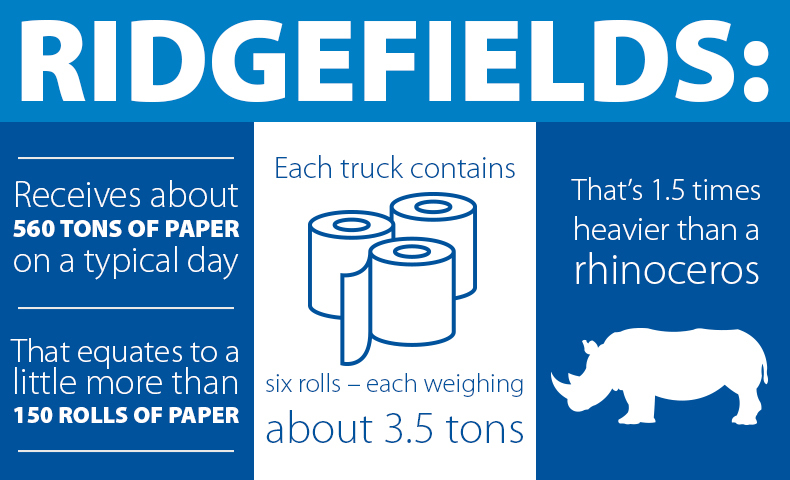 Ridgefields receives about 560 tons of paper on a typical day. That equates to a little more than 150 rolls of paper, which arrive via 26 truckloads from the Kingsport Mill. One truck can carry six rolls, each weighing about 3.5 tons. If you unwound a single roll of paper, it would span about 65,000 feet — a little more than 12 miles. That’s long enough to lap Tennessee’s famous Bristol Motor Speedway 23 times. Boggs and the team at Ridgefields process that tonnage into 95 different variations of cut-size uncoated freesheet for customers across the United States. “I never get bored coming to work, that’s for sure,” Boggs says. Paper rolls are ready to be loaded into paper converting machines. One of our paper converting machines is called a 10-pocket sheeter because it converts 10 reams at a time. When a roll is loaded onto the machine, it’s unwound and cut to 8.5-by-11-inch sheets, then collated into 10 reams that are stacked neatly in the pockets that span the machine’s width. From there, the reams are separated and sent down a long conveyor belt for wrapping and boxing. The process repeats for the length of the roll, with each roll yielding 1,440 reams of paper. Boggs started his career at the Kingsport Mill in 1979. Back then, the mill’s paper was converted on site. In 2002, when Ridgefields opened to accommodate Kingsport Mill’s increasing productivity, Boggs was named manager of the new facility. 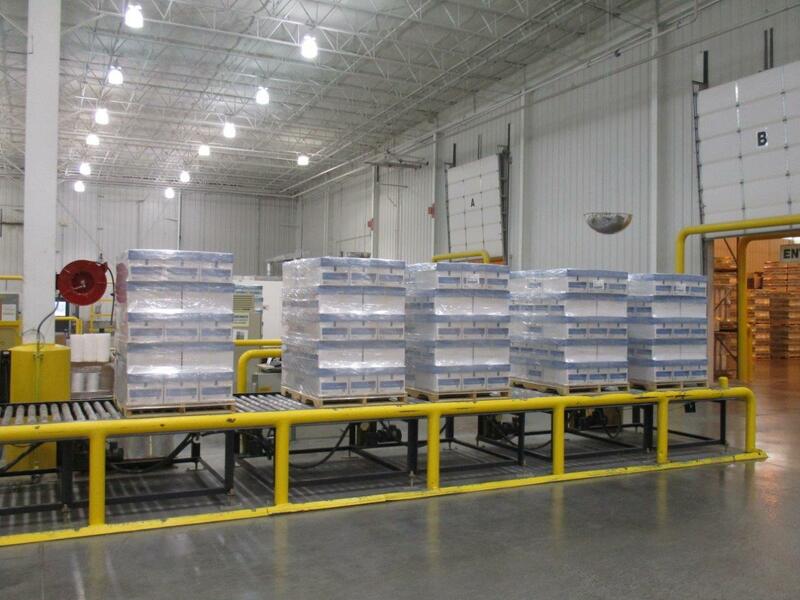 Paper reams that were converted from large paper rolls are wrapped, boxed and packaged into pallets for shipping. “As soon as we opened, paper was coming in and we had to convert it. There was no room for error,” Boggs says. His team made it happen with minimal disruption, something they continue to do to this day. That’s a compliment not only to the great work done by the employees at Ridgefields to keep the paper converting machinery running smoothly, but also to our colleagues at the Kingsport Mill who produce high-quality paper stock that converts smoothly. So, the next time you load a ream of paper into a copy machine, remember that it was likely cut and packaged by the hard-working men and women at Ridgefields or another Domtar paper converting facility.